...aK(a): grandma's 2008 holiday gift, finally done! 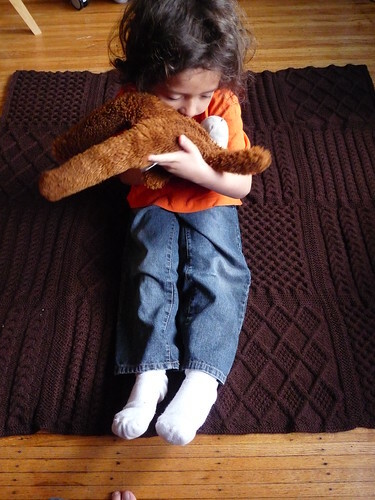 This is the third year I've made gma an afghan (2006: Lizard Ridge, 2007: Totally Autumn Throw) for the winter holidays but the first I didn't have it done in time :( A little distracted with weaving, with baby nephew knitting... no matter. I'll be handing it over this weekend when I head off to my sister's baby shower and it'll be awesome. 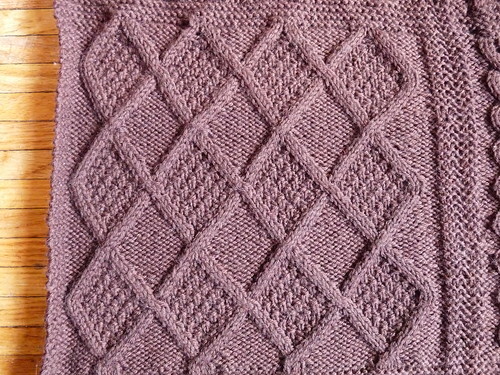 Grandma saw me working on it the last time I visited and made me feel like a rockstar for memorizing the (simple) cable patterns and not having to refer to a chart-- she said she never did patterned knitting (cables, lace) which surprised me because she did so much with color. I think she did a lot of feather and fan, but I can't remember and don't have any of her afghans left so I can't be sure. 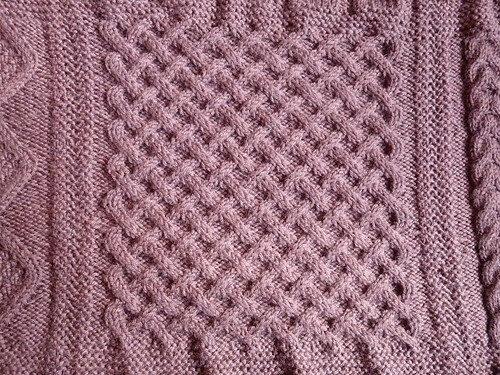 All of the cables are really intuitive once you get going-- the pattern offers seven different blocks and I chose four. I have no idea what next year's (this year's!!) 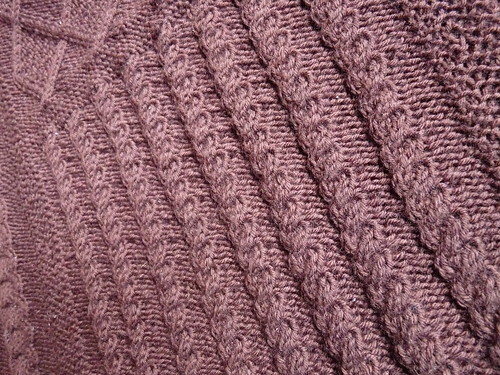 blanket will look like... superwash again for sure, but otherwise? Maybe feather and fan, old school? I'll have to ask gma what patterns she did use in her 80million afghans served. Oh my that's beautiful! Congratulations! Wow, that's gorgeous! Such an amazing gift. That is beautiful! Nice work. 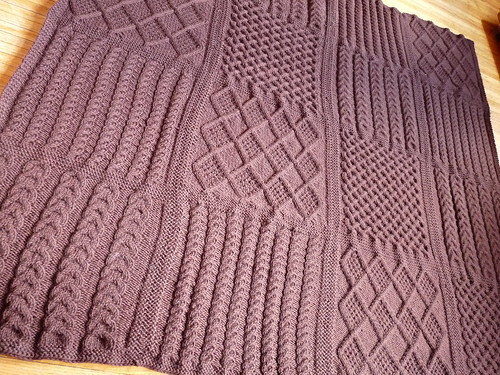 Wow, another beautiful blanket! Very nice work. It's beautiful! 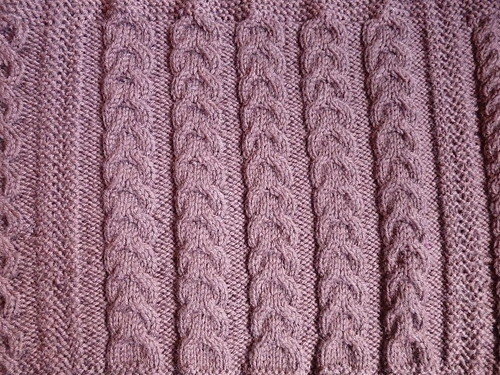 After this year's 12 sweaters, I think I'm going to knit some blankets. It's beautiful. She's going to love it. Just stunning...love the colour and all those cables..wow. You are a rockstar! That looks great!